« Why Get a Professional Headshot? Congratulations, you’ve received a job offer! But now what? Is the salary competitive? Do any benefits seem to be missing? Should you try to negotiate? The answers to these questions do not come naturally to most people, and graduate students often lack experience interpreting the terms of a job offer and recognizing the strength of a benefits package. Fortunately, Graduate Career Services is here to help, and a number of students have stopped by the last two weeks to review their offers and develop a strategy for following up and/or negotiating. We also have resources on our website to help get you started. Understand the terms of the offer. For many graduate students, this may be the first professional job offer you have received. Therefore, you may not be familiar with what is typically included. In addition to the starting salary, offers can involve items like a signing bonus, relocation assistance, profit sharing, and performance bonuses, as well as fringe benefits including insurance (medical, dental, vision, disability, life, etc. ), retirement savings (401k), tuition assistance, vacation, holidays, mileage reimbursement, memberships in professional organizations, professional development funds, gym memberships, and more. Academic offers may also include lab start-up funding, technology, graduate student support, travel for research, and more. Do you know what “vesting” is? Do you know the difference between co-payments and co-insurance? We can help you understand what is actually included in the offer and what items you might need the employer to clarify. Determine your market value and evaluate the strength of the compensation package. In most cases, you will have already used tools like Glassdoor to figure out your salary expectations during the interview process or even submitted them on the initial application. 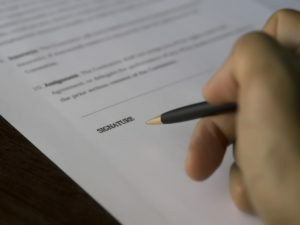 However, now that you have received an offer, you will need to determine if it aligns with those expectations, especially in light of the “total compensation” being offered. The total compensation includes all of the benefits mentioned above. When evaluating the strength of the package, take into account the costs associated with healthcare premiums, for example, as well as how much the employer will contribute to your retirement and how long you have to wait before they start matching. Lower insurance costs or a greater retirement contribution will yield a larger net income in the long run, and might mitigate the negative effects of a lower annual salary. We can help you evaluate the strength of the benefits to determine your total compensation and compare it with your expected market value. Negotiate. The stage that gives most people (not just graduate students) the greatest amount of anxiety is the negotiation process. Should you ask for more money? Will the employer rescind the offer if you do? Aren’t you just being greedy? The answers all depend on the offer itself and the way you present the counter-offer or request. It is important to be gracious and professional throughout the process. We provide many resources and tips for negotiating on this page of our website as well as through this board on our Pinterest page. GCS can help you become #IrishReady for every step of this process. Contact us at gradcareers@nd.edu to review your offer, evaluate its strengths and deficiencies, and plan a negotiation strategy. In the meantime, please share your favorite tips and resources in the comments section below. Absolutely! And thanks for visiting. Great post. Can i share it? © 2019 IRISH Ready Blog.